The New Cosmetology Building at Northwest-Shoals Community College is taking shape. This photo from Boyett Construction Co. Superintendent Tom Hanks, taken this morning, shows progress... and even better, it actually looks like our renderings. After a year-long process of listening, discussing, collaborating, and studying, Aho Architects is proud to present Wallace State Community College with their 2014 Campus Master Plan. 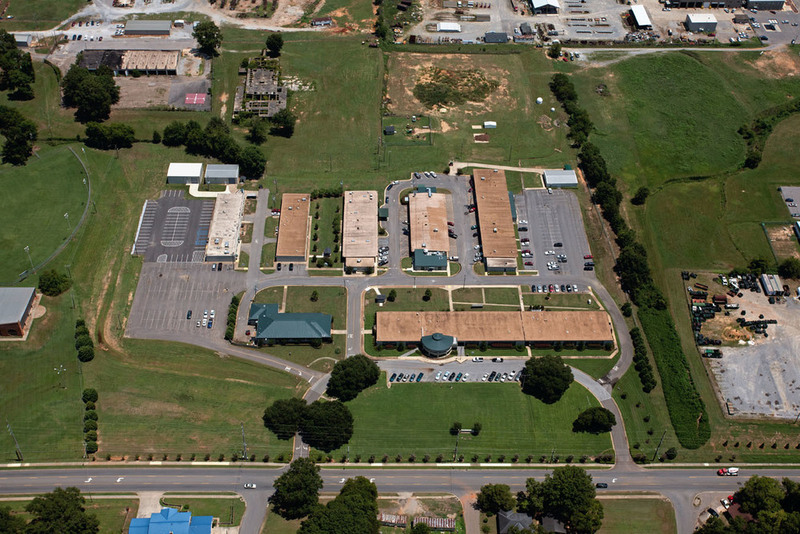 The goal of the master plan was to outline a vision for the campus of WSCC that portrays their vision for the College. The plan had to address current and future needs, and had to be forward-thinking while at the same time realistically achievable. 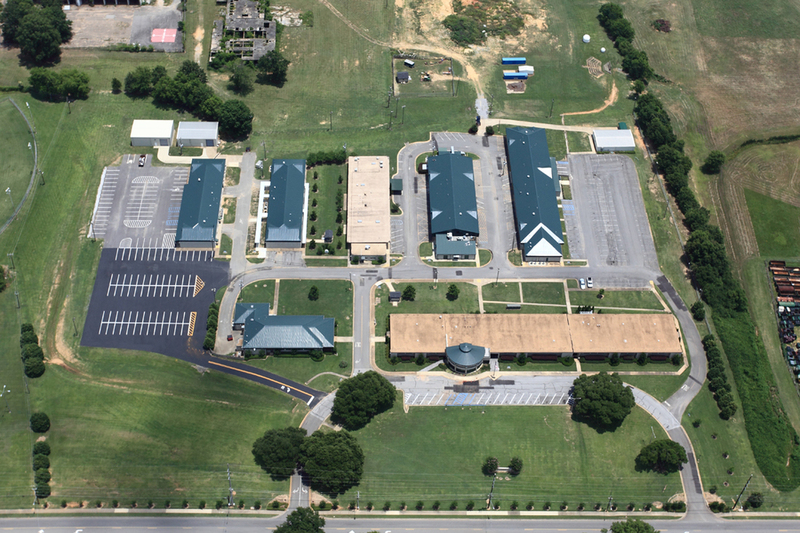 The college’s 300-acre campus is located in Hanceville, Alabama. As one of the largest colleges in the Alabama Community College System, WSCC serves more than 5,000 students each semester. Aho Architects is pleased to begin a relationship with Ingram State Technical College as we provide architectural and engineering services for a new multi-purpose facility at their Draper Campus. Aho Architects will also be designing renovations at ISTC's main campus as part of the same project. We are adept at maneuvering through the procedures and requirements of PSCA-funded projects, and we understand the protocols for successfully working at correctional facilities. 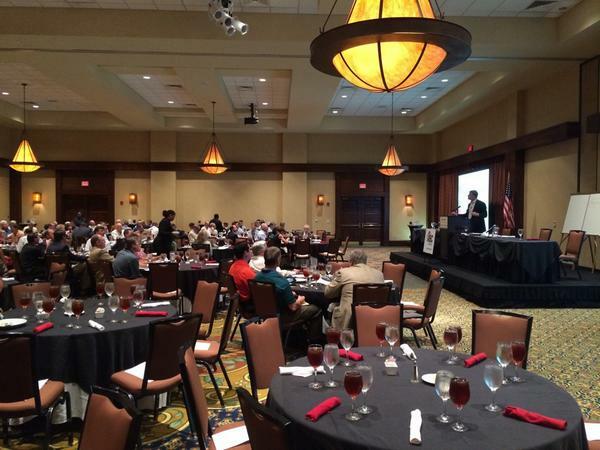 Aho Architects was pleased to be a Platinum Sponsor of the first Alabama Facilities Directors & Constructors Conference which was held September 24 -25, 2014 at the Montgomery Marriott Prattville. Tim Aho and Edmond Miller were in attendance to listen and learn alongside the state’s Facilities Directors and to join the conversation about how to tackle the challenges facing Alabama’s college, university, and K-12 facilities. Feedback on the conference was very positive, and we look forward to a bigger and even better event in 2015. 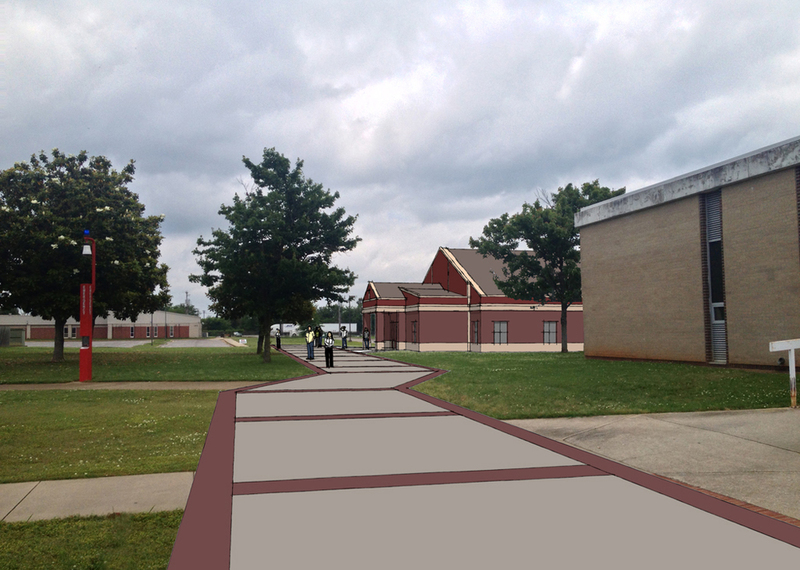 Construction has started on a new Cosmetology Building for Northwest-Shoals Community College. Always nice to see projects "coming out of the ground"! Administrative Rule 170X-8 Collection of User Fees goes into effect today, October 1, 2014. As mentioned in an earlier Aho blog post, state agencies, K-12 schools, community colleges, universities, and others whose construction projects are reviewed by the Alabama Building Commission, will be required to pay a Plan Review Fee, Permit Fee, and, in some instances, a Contract Administration Fee. The fee schedule is generally figured as a percentage of the construction contract amount. Additionally, this new rule outlines the procedure for scheduling inspections and some additional requirements for required inspections. While this added project cost may seem like a burden, we anticipate one of the benefits of this change will be increased responsiveness. As an example, the plan review fee will be refunded to the Owner for reviews not completed within 30 days. Aho Architects supports the adequate and more-sustainable funding of the Building Commission so that it is better equipped to perform its duties. Please click here for a summary of the new rules. The full text of Administrative Rule 170X-8 is available on the Building Commission’s website at www.bc.alabama.gov. Please do not hesitate to contact us with any questions or concerns you may have. Yesterday afternoon, the Alabama Building Commission (BC) approved a resolution allowing them to charge user fees including a plan review fee, permit fee, and some additional fees such as a contract document administration fee. It is our understanding that while the BC has had the authority to charge fees (Code of AL §41-9-141 (a) (8)) for years, budget shortfalls have now led it to propose doing so. We believe adequate funding is important to keep the Building Commission running. If the funding mechanism shifts to charge each project, you need to be aware of that. This isn’t unprecedented though; our healthcare clients, for example, pay plan review fees to the AL Dept. of Public Health. Please click here for a copy of the proposed rules. The fees are calculated based on a tiered value of the construction cost and will increase in proportion to the project’s costs. The contract document administration fee is 1/2% of construction cost. For example, a $2,000,000 locally-funded K-12 project would be subject to a $2,330 plan review fee and a $4,660 permit fee ($6,990 total). If the project in the example above is PSCA-funded or a community college project, where the BC is required to administer the contract documents, then the contract document administration fee would be $10,000 (total of all three applicable fees = $16,990). As you can see, these fees add-up and need to be factored into project cost budgets. As an aside, these fees are doubled if the work starts without BC approval, so be careful to follow proper procedures (it is our job to help you do that). The proposal (please see attachment) will now be issued for public comment. Once comments are received, the Commission will have to meet again to grant final approval of the fees and process. We do however anticipate this change is going to happen. Provided the user fees are ultimately approved, they will most likely take effect for projects beginning the process on or after October 1, 2014. Aho Architects tries to stay as current as we can on developments like this which affect our clients. We will continue to monitor this and do what we can to help you comply with- and budget for- these added costs. I hope you’ll consider us your trusted advisors. Please do not hesitate to let us know if you have any questions or need anything else. Here are some images of the new building we have designed for Northwest-Shoals Community College. The facility will be the new home for NWSCC's Cosmetology Program. It is currently in the Contractor pre-qualification stage, and will be bidding later this month. Aho Architects, LLC and Dunn Building Company have put new sloped metal retrofit roofing systems on four buildings at Shelton State Community College's C. A. Fredd Campus in Tuscaloosa, AL. The $1,243,742 project included new roofs, replacement of rooftop HVAC equipment, and related work on Buildings 200, 300, 500, and 600. Aho Architects is proud to now serve Northwest-Shoals Community College, having been selected to design their new Cosmetology Building on the Shoals Campus. The College received State Board of Education approval on 6/27/2013. We're looking forward to getting started! You can read more about the program in this article from the Times Daily.